(Newser) – An inmate who'd escaped minutes earlier from a county jail in South Carolina was shot and killed by a woman after he kicked in her back door, the local sheriff said. The inmate was still in his orange jail jumpsuit and had grabbed a knife-sharpening tool from the woman's kitchen in Pickens as he headed toward her bedroom around 3am Tuesday, Pickens County Sheriff Rick Clark said, per the AP. The woman was home alone and had gone through training to get a concealed weapons permit, Clark added. "This was a big guy. If she hadn't had a weapon, there's no telling what would have happened," he noted. 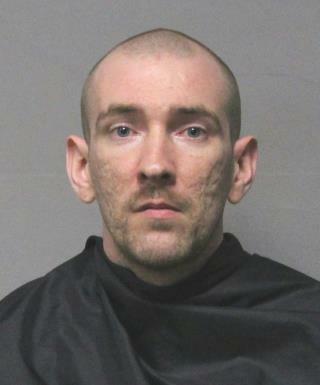 Bruce McLaughlin Jr., 30, died from a gunshot to the head, per the Pickens County coroner. McLaughlin and a second inmate, Timothy Dill, beat up two guards in an escape they'd planned for days, Clark said at a presser. This is precisely why every citizen should keep a gun in their home. I have to say this is the best argument for keeping a gun that I’ve heard yet. Good shot. She got him in the head, instead of the torso.